A current USDA case involving a major antibody producer underscores the need for the research community to demonstrate its commitment to high standards of animal welfare. 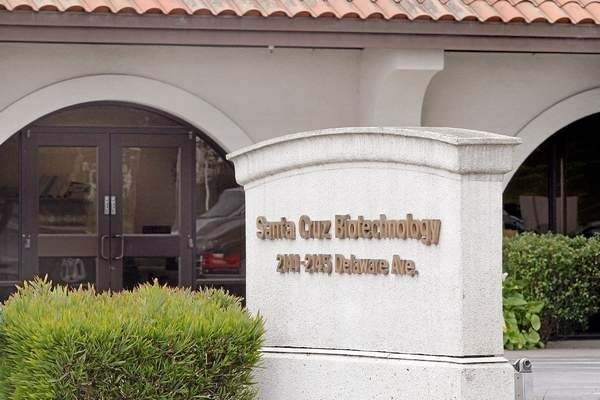 On August 18-20, 2015, Santa Cruz Biotechnology, Inc. (SCBT) went before Administrative Law Judge Janice Bullard in Washington to rebut charges of Animal Welfare Act (AWA) violations at its California antibody production site. The hearing was supposed to conclude on August 21. However, according to an account of the hearing posted by the Animal Welfare Institute (“Key Hearing in DC from August 18 to August 20”), the proceedings were suspended on the last day and the parties were given until September 30, 2015 to negotiate a settlement. As of this writing, no settlement agreement has been reached. Therefore the allegations against SCBT remain just that—allegations: Final judgment must be withheld until the legal proceedings are concluded. Nevertheless, the seriousness of the USDA’s charges against SCBT demands attention. Antibodies play an increasingly important role in both clinical medicine and research. The immune system generates antibodies when it detects a foreign protein. Antibodies are proteins that tag these “invaders,” enabling other immune cells to find and destroy them. Because each antibody targets a single protein, they also have many useful applications. Antibodies can be used to diagnose and treat diseases, such as cancer and autoimmune conditions including rheumatoid arthritis and inflammatory bowel disease. Just this past August the U.S. Food and Drug Administration approved the antibody-based drug Repatha (evolocumab), the second in a new class of drugs that can lower cholesterol dramatically by targeting a specific protein. Antibody production is a multi-billion dollar industry, and SCBT is a major player. Antibody production starts by injecting animals with the protein to be tagged. One production method involves collecting blood from animals injected with the protein and then extracting the antibodies. This method produces polyclonal antibodies that are comprised of a collection of immune cells. Another method uses hybridoma technology which produces monoclonal antibodies that consist of only one type of immune cell. This method also begins by injecting an animal with the protein to be tagged. The next step is to remove an initial batch of antibody- producing cells from the animal’s blood and fuse them with a harmless cancer cell to produce a cell line that can generate the desired antibody in the lab. César Milstein and Georges J. F. Köhler shared the 1975 Nobel Prize in Physiology or Medicine for developing this methodology. When performed properly, the creation of antibodies using either of these methods causes minimal pain or distress to animals. SCBT produces antibodies with various animals including goats and rabbits, species regulated under the AWA. The USDA sends inspectors at least once a year to visit all facilities that conduct research, teaching, or testing with regulated animal species to ensure their compliance with the AWA. In a formal complaint filed August 7, 2015, the USDA accused SCBT of “repeated failures to provide minimally-adequate and expeditious veterinary care and treatment to animals” (2015 complaint, paragraph 5). USDA said further that the company had “demonstrated bad faith by misleading APHIS personnel about the existence of an undisclosed location” where goats were housed (2015 complaint, paragraph 6). On July 24, 2007, the USDA inspector cited SCBT for improper handling of animals. (2012 complaint, paragraph II.D.1.-2). The 2012 complaint also noted various shortcomings of SCBT’s institutional animal care and use committee or “IACUC.” According to the AWA, the IACUC is required to “assess the research facility’s animal program, facilities, and procedures,” including semi-annual inspections of the facilities that identify and report “significant deficiencies.” (9 C.F.R. section 2.31 (c) (1-3)) A significant deficiency is defined in 9 C.F.R. section 2.31 (c) (3) as a problem that “is or may be a threat to the health or safety of the animals.” The IACUC is also required to review and approve animal use protocols before the research commences, to review and approve significant changes to ongoing protocols, and to ensure that animal pain and distress are minimized. The 2012 complaint was to have been adjudicated in 2014, but the hearing was called off two weeks before it was scheduled to take place. According to a July 1, 2014 notice issued by Administrative Law Judge Jill S. Clifton, the hearing was cancelled to give SCBT and USDA “ample time to meet to further their attempts to settle the case.” However, no resolution to the allegations in the complaint was announced, and during subsequent visits, USDA inspectors identified more alleged AWA violations at SCBT. On November 4, 2014, USDA filed a second formal complaint listing alleged violations found during 7 inspections between September 26, 2012 and April 22, 2014. The second complaint charged SCBT with having “failed to allow APHIS officials to inspect” a barn known as Lake Ranch/H7 “from at least March 6, 2012, through October 30, 2012.” (2014 complaint, paragraph III). This complaint also listed additional instances of failures to provide adequate veterinary care based upon findings from inspections of October 31, 2012 (2014 complaint, paragraph IV. B), December 18, 2012 inspection (paragraph V); and February 20, 2013 (paragraph VI). The 2014 complaint further listed problems with the housing, food, and water provided to animals. These problems were noted in the September 26, 2012 inspection (cited in paragraph II. C. 1-4 of the 2014 complaint as alleged violations of 9 C.F.R. Sections 3.125 (a), 3.129 (a), 3.131 (a) and (d)); in the October 31, 2012 inspection (cited in paragraph IV.C. as alleged violations of 9 C.F.R. Sections 2.26, 2.100 (a), and 3.131 (c)); in the September 10, 2013 inspection (cited in paragraph VIII.1 as alleged violations of 9 C.F.R. Section 3.127 (a)); and in the April 22, 2014 inspection (cited in paragraph IX. C.1-3 as alleged violations of 9 C.F.R. Sections 3.56 (a), 3.54 (a), and 3.129 (a)). The third USDA complaint was filed August 7, 2015 and reported by the Santa Cruz Sentinel under the headline: “Santa Cruz Biotech faces third USDA complaint alleging animal mistreatment.” As noted above, this complaint asserted that the company had “demonstrated bad faith by misleading APHIS personnel about the existence of an undisclosed location where respondent housed regulated animals.” (2015 complaint, paragraph 6) It also alleged that SCBT had “repeated[ly] failure[d] to provide minimally-adequate and expeditious veterinary care and treatment to animals.” (paragraph 5) In support of this allegation, subparagraphs 8. a.-n. of the complaint describe 14 instances between 2011 and 2015 where USDA inspectors observed individual goats that appeared to be in poor health and lacking appropriate veterinary care. Several of these goats were thin, appeared anemic or seemed to be suffering from infections (subparagraphs 8 a., b., c., d., g., j., k., l., and m.), while others had wounds or other injuries (subparagraphs 8.e., f., and i.). “Respondent failed to provide adequate veterinary care to a goat (#21135) that had been diagnosed with urinary calculi [kidney stones] and treated with ace promazine. On July 7, 2015, at approximately 10:30 a.m., APHIS inspectors found the goat in a depressed posture, unwilling to walk, and breathing heavily. Respondent had no veterinarian available to attend to this animal: the respondent’s ‘on-site’ veterinarian was on vacation, and respondent’s staff could not contact respondent’s attending veterinarian, or any other veterinarian who could provide emergency care. By 3:30 p.m., the goat was agonal [gasping for breath], suffering and in distress. Respondent failed to follow its own ‘Standard Operating Procedure’ for emergency goat euthanasia, which requires veterinary approval for euthanasia. As no veterinarian was available, respondent’s staff used a captive bolt gun alone (without a sedative or secondary euthanasia injection,) to effect euthanasia of the goat at approximately 4:15 p.m.” (2015 complaint, subparagraph 8.n.). As of this writing, there has been no judicial resolution of the alleged AWA violations by SCBT. That is to say, neither a settlement between USDA and SCBT nor a continuation of the administrative hearing has been announced. Testimony from USDA Veterinary Medical Officer Marcy Rosendale was reported in an account of the August 18-20, 2015 hearing posted by the Animal Welfare Institute. According to this report, Rosendale said she had not observed the same number of animal welfare problems she found at SCBT at other antibody production facilities she had visited. 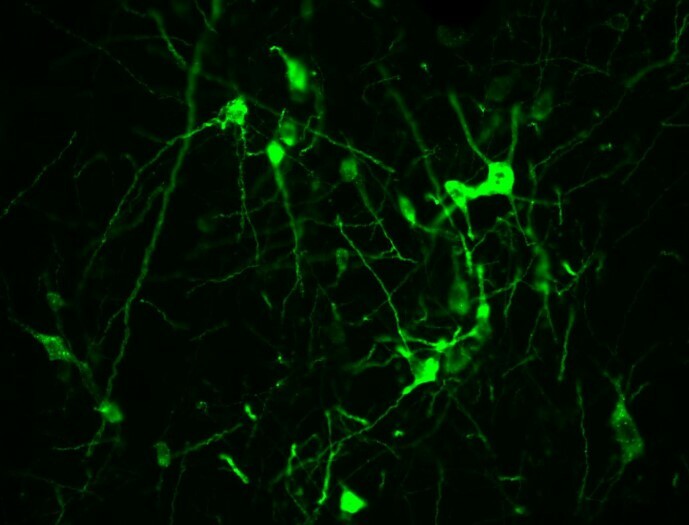 There is growing recognition that to ensure the rigor of their work, scientists need more information about the antibodies they use actually, i.e., technical specifications such as the what part of the target protein the antibody binds to. Perhaps it is also time to pay more attention to how those antibodies are produced. USDA inspections are a matter of public record, but meeting the requirements of the AWA should only be the beginning. Antibody producers should be encouraged to take additional steps to affirm their commitment to animal welfare, such as by seeking independent accreditation of their production facilities through AAALAC. The point is that researchers and antibody producers alike must find tangible ways to demonstrate a commitment to high standards of animal care. Posted on October 16, 2015 October 16, 2015 by EditorPosted in News, Science NewsTagged Alice Ra'anan, animal research, animal testing, animal welfare, antibody, AWA, Bill Yates, Santa Cruz Biotechnology, USDA.